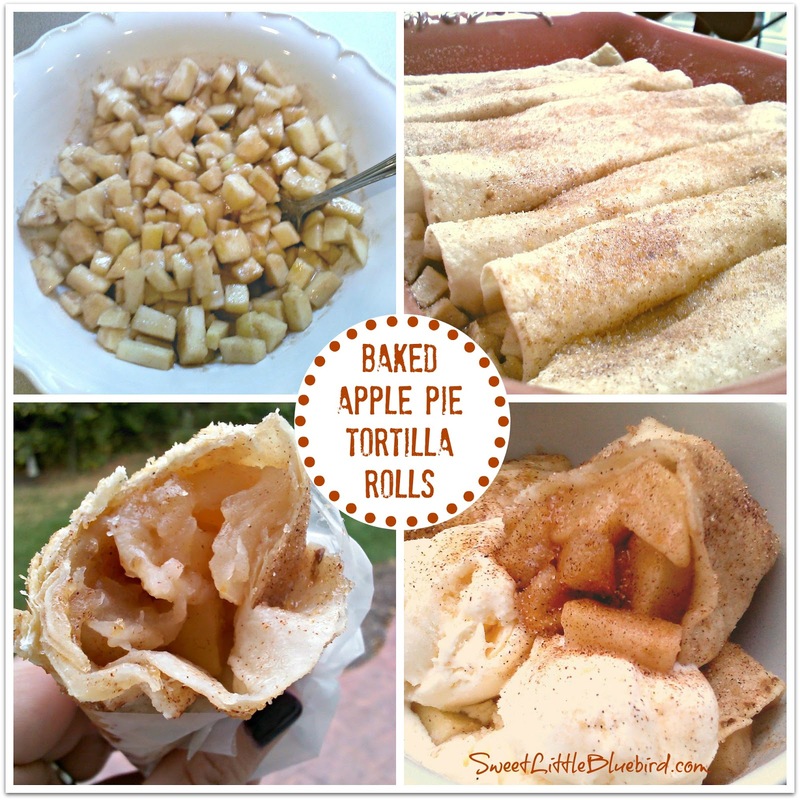 Today I’m sharing a fall favorite, Baked Apple Pie Tortilla Rolls – aka, Apple Pie Roll Ups! 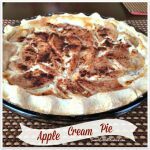 A fun, tasty twist on apple pie, that’s a cinch to make, so darn good! This is a quick and easy dessert the whole family will love. This fall treat is so simple to make and a favorite go-to dessert. You can use apple pie filling from scratch or canned and enjoy them hot or cold. They are wonderful served warm with vanilla ice cream or cold, wrapped in wax paper in your hand….so so good. Stir sugar and cinnamon together until well blended. Preheat oven to 350 degree F. Butter (grease) a 9×13 baking dish. Next, combined all of the dry ingredients in a bowl. Toss the sliced/diced apples in the lemon juice, then pour the dry mixture over apples. Stir the apples making sure they are coated well. 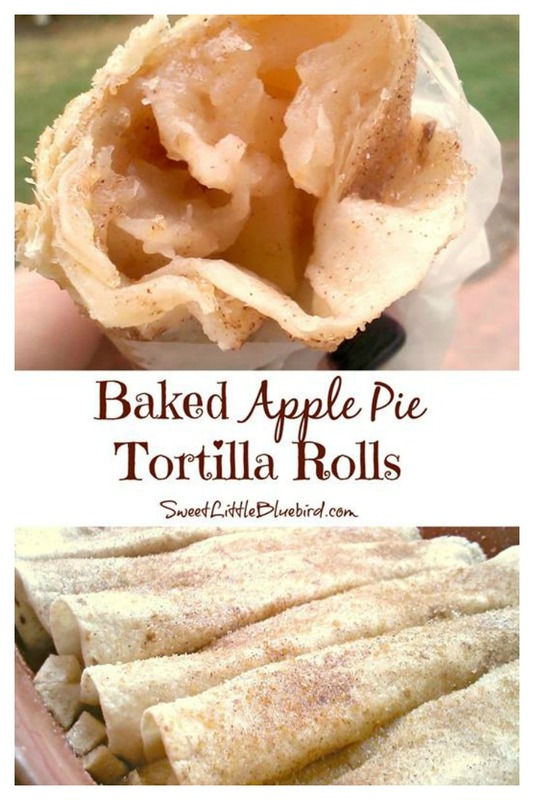 Place a 1/2 cup of the apple mixture and spread in the center of a tortilla. Roll the tortilla and place in pan, seam down. Repeat 7 more times. Note, You may only be able to fit 7 rolls in your pan. Once rolls are in pan, lightly brush with melted butter and sprinkle with cinnamon sugar, making sure to sprinkle in between each roll on their sides. Cover with foil and bake on middle rack of oven for 40-50 minutes. Bake until apples reach desired texture. Remove, enjoy hot or cold. 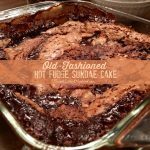 Great served warm with vanilla ice cream! I love them cold, wrapped in wax paper in my hand- so good! For crispier tortillas, remove foil with 10 minutes left for baking. For a QUICK version, you can use canned apple pie filling (I use Duncan Hines®). Brush the tortillas with butter and sprinkle with cinnamon sugar. Bake for 15 to 20 minutes at 350 degrees f.
« Kickin’ It Old School For My Birthday ~ 70s Candy! 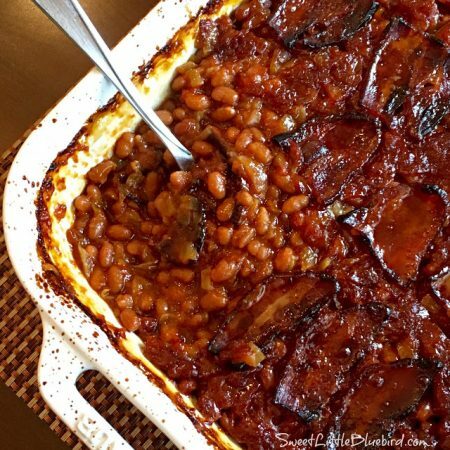 I AM 16 and i’m think about doing this for Spanish class because it is originally a Spanish dish. I tried them once and they would good. But do you think i would be able to make them? I have a ton of apples from our trees and didn't know what to do with them (there's only so much apple sauce I can make!). 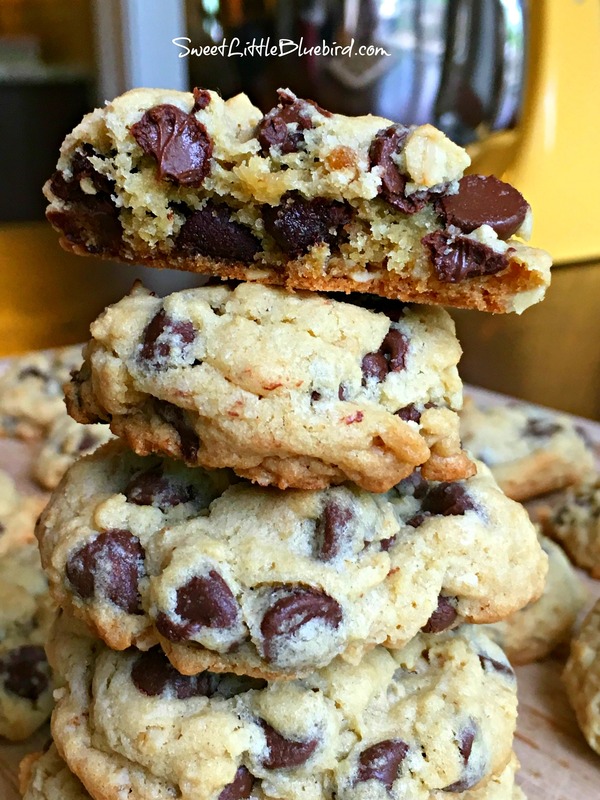 I made these and they are great! Such an easy and delicious dessert. Ah, I used to get apple burritos at Parrish Ranch in Oak Glen (apple country) when I lived in CA. I miss them! I tried with canned pie filling once, not the same. I will have to try your homemade filling recipe. They also put a thin white glaze over top of them. Yum! If you want to be really lazy – core your apple stand in centre of wrap fill with alternate layers of raisons,dark brown sugar and butter with butter as top layer. form wrap around apple and turn upside down into baking dish,pour simple syrup of brown sugar, knob of butter and boiling water over top. Cover with foil and cook for 40mins at 180c. serve with double cream or custard. Does your family prefer these soft or crispy? Warm or cold? 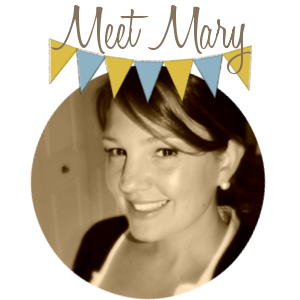 Just curious what the favorite way has been in your house, since you've made so many batches! Is it possible to substitute the butter for something else! I am recently a Vegan and have to rethink all the recipes! I run a B&B and think this would be great with crepes as a breakfast entree! I will definitely be giving this a try. Might cook the apples a little and add some raisins so I don't have to bake for so long. Crepes can be finicky. Thanks for the inspiration! 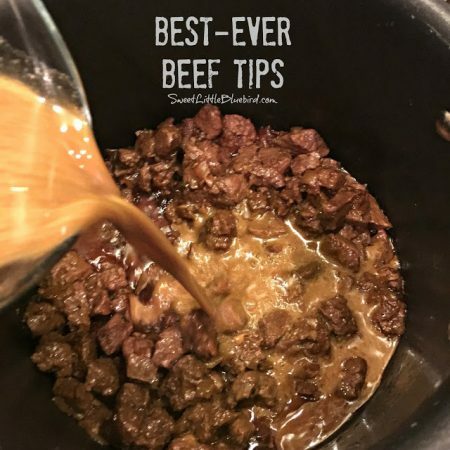 I tried this recipe tonight and it was great. I added walnuts and a little bit of caramel dip to the apple mixture just because I love those with apples. 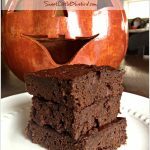 I was amazed at how simple this was and it makes such a beautiful dessert. Thanks for sharing. 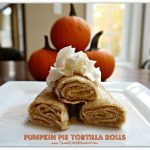 I am definately going to try the pumpkin rolls as well.